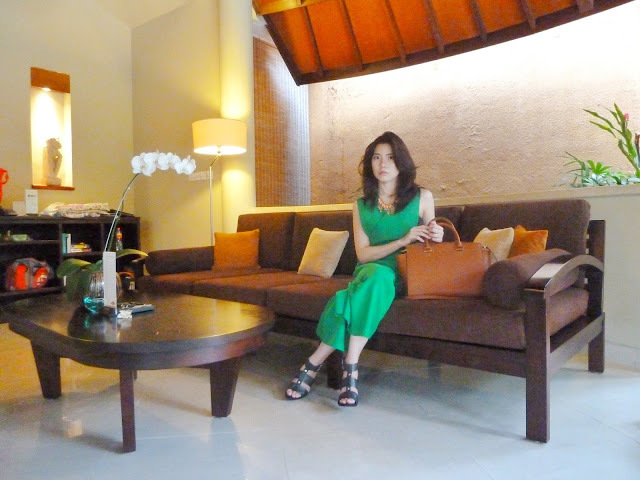 What I wore this time is this edgy green jumpsuit, it's perfect for party, or any special occassion. If you're bored with dresses, you can wear this for your Christmas or New Year celebration. Of course, it will not be complete without the accessories. I paired this jumpsuit with gold necklace, strappy heels in black and Michael Kors purse. What do you think about this look? There are many good summer holiday party ideas available online. I read about some, like serving refreshing melon balls wrapped with cucumber and seaweed salad. Lollipop-styled desserts will make your event really special.